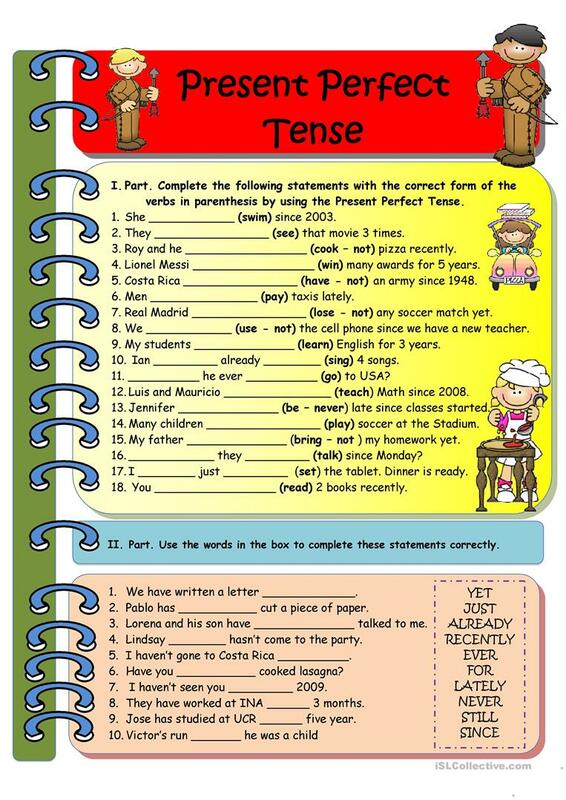 This is a worksheet to practice Present Perfect Tense. Use it and modify if necessary. I hope you like it. Thanks for your nice comments. Blessings from Costa Rica. 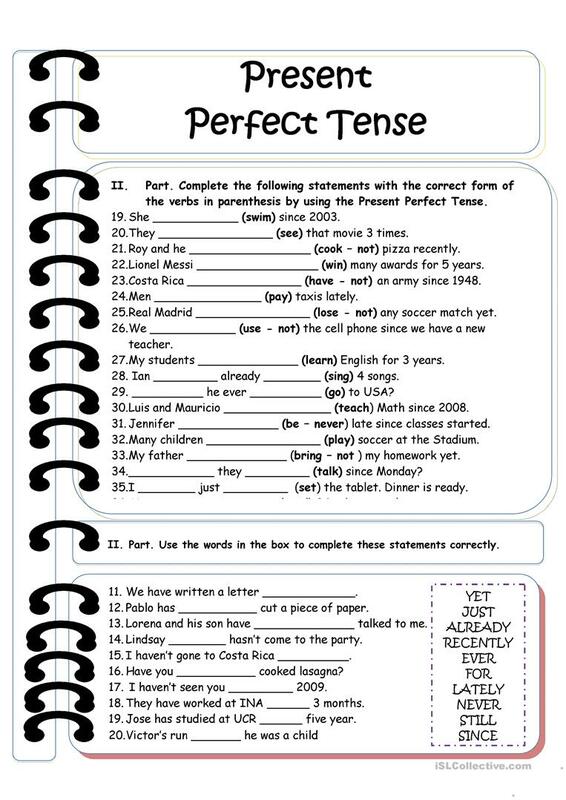 This downloadable printable is a great resource for high school students and elementary school students at Pre-intermediate (A2) and Intermediate (B1) level. 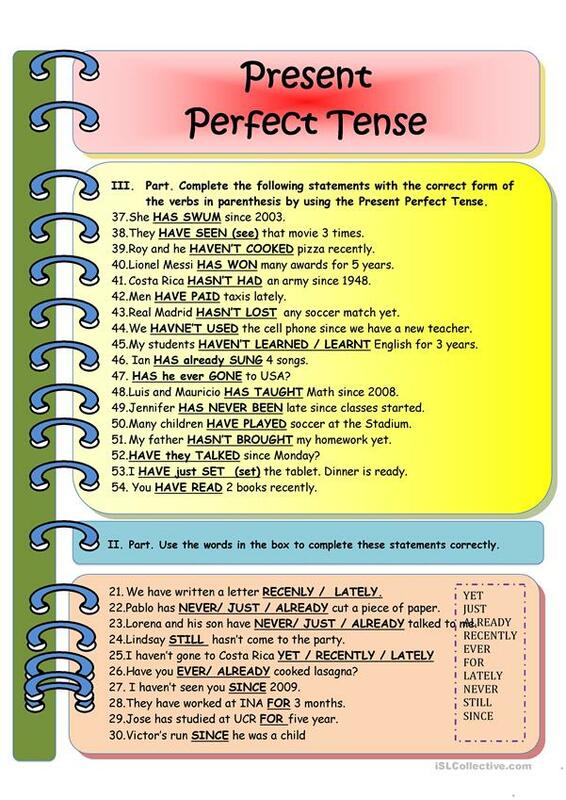 It is aimed at consolidating Present perfect tenses in English, and is excellent for honing your groups' Writing skills. You will find the answers at the end of the worksheet.